PARIS (KGO) -- Instead of trick or treating on Halloween, how about spending a night in catacombs filled with real skeletons? 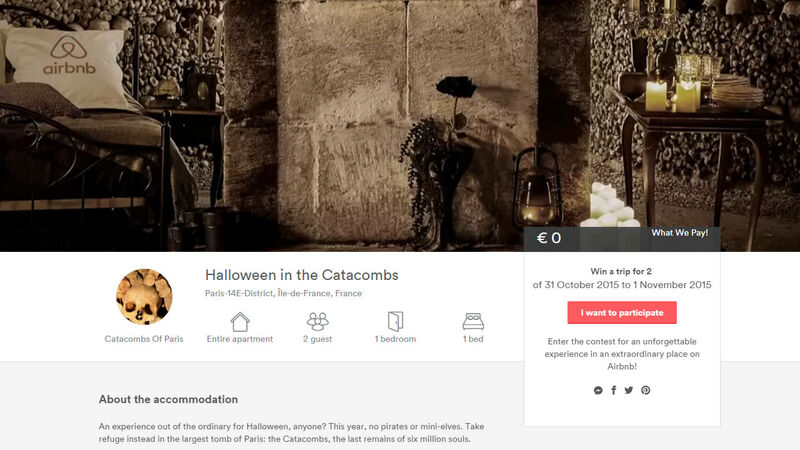 Airbnb is hosting a contest to give two people the opportunity to spend Halloween night in the catacombs of Paris, the permanent home to six million dead. The night includes a dinner, a real bed, and even a private concert. Hopefuls can submit at 100 word essay to Airbnb by Oct. 20 explaining why you want to sleep with the remains. Click here for a full list of Halloween events around the Bay Area. We want to see how you're celebrating Halloween. Tag your photos on Twitter, Instagram, or Facebook with #spookyon7!